Daniel is the younger of the two brothers, who has always had a passion for the sea. So much so that he pursued a career at sea and graduating from Glasgow nautical college, he quickly started to climb the ranks and is currently a Second officer on board a multipurpose offshore support vessel working towards Chief Mate level. Having always had a strong interest in sea fishing as a hobby, he, like many other islanders, got himself a 16 foot open decked boat to take the hobby to the next level. After purchasing a hand full of creels, he came to love the thrill of getting crab and the occasional lobster in the pot. Daniel came to know many locals that enjoyed the same hobby, and decided to start his own business to try and help them and the local fishermen find good quality creels at an affordable price. And so the idea for Maciver Marine Services Limited was born. 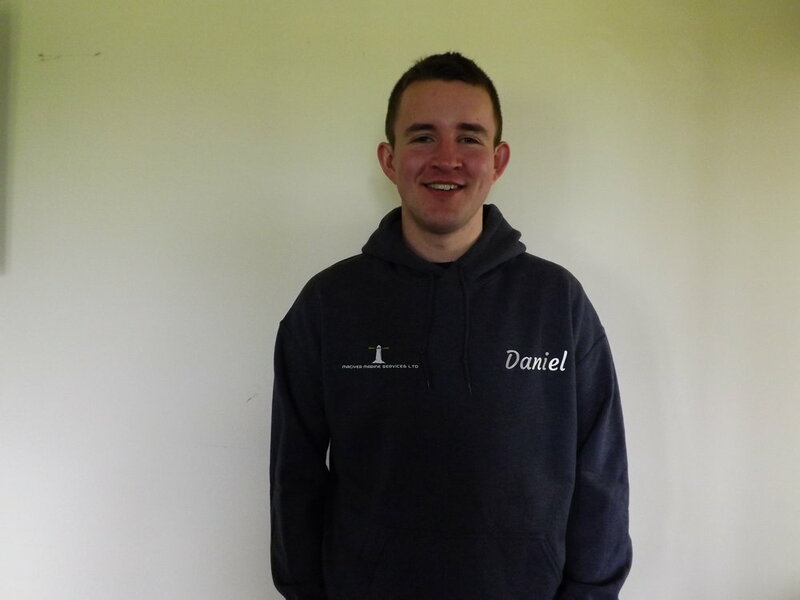 Having time at home between his trips to sea, Daniel set up the business in 2015, but spent the next two years carrying out research and developed a good relationship with creel manufacturers. At the beginning of 2017, the first samples arrived to be trialled in the unforgiving fishing grounds around the Western Isles of Scotland. During the trials, the finishing touches were made to the business and so trading began in May 2017. Kevin is a plant and HGV mechanic who is still active in the trade and works for a local construction and civil engineering company maintaining a fair sized fleet of excavators, HGVs, vans and various other plant. He has always had a love of engines and fishing. Unlike Daniel, Kevin's fishing activities were primarily of the fresh water type, having taken up fly fishing at a young age. That was until 2013 when the two brothers took Daniels newly purchased boat out for the first trip sea angling, where the thrill of pulling up a line with five fish led to him visiting the fresh water loch's/lakes less and less in favour of a boat at sea or even fishing off the cliffs. Kevin's involvement in the company was purely lending Daniel a hand up to May 2017, when he took on an active role and became co-Director alongside his brother.